If there is an elegance in knowing how to speak, there is a charm in knowing how to write. In being able to express the thoughts that swivel in your mind, into words, phrases, sentences. Giving them meaning to paint an image to the outsider, enabling him/her to witness with their own eyes a fraction of your very being. Being able to write is a gift, a talent, a skill. In an age when we are constantly busy with something, and never have enough time for anything, possessing good writing skills is a trait few truly have. For, from a very young age, we are taught that reading and writing are intrinsically linked. They are two skills that you learn simultaneously. Today, we spend most of our precious daily time skim reading texts of all sorts. We have no time to waste. If the first few sentences do not grip your interest immediately, the text is not deemed worthy of your attention. So being a good writer becomes all the more important. You need to invite the reader in, to arouse their attention, raise an issue of common interest to them, welcome them into your stream of words, and grasp them so tightly that they would want to stay along for the entire ride. And if you are exceptionally good, you will leave them with an afterthought, having awakened inside of them their spirit of curiosity, of questioning, of bewilderment for the very world we live in. It is true that nowadays we speed read all the more, but that does not necessarily mean we should also skim write. Think about the books you read. There are some that you can literally not put down. Not even when you feel your bladder so full it is pressing against your stomach, and you’re dancing around on your seat, trying to finish one more line, one more sentence, one more page, before you have to race to the bathroom like a mouse on fire. But there are others that actually put you to sleep after just one or two pages. It might not necessarily be just the plot at fault. It is the way the plot is written. The descriptions, the narrative, the tone. It is no wonder, therefore, that the best books you read – those that remain with you long after – are the ones in which the flow of words can reach deep into your soul, caress every atom of your being, and so thoroughly describe every emotion you feel to the extent that you experience a hair-raising chill down your spine. The most memorable texts are indeed the ones that so vividly describe exactly what they make you feel. The ones that help you embark on a rollercoaster of emotions, of racing heartbeats, and of sighs of relief. 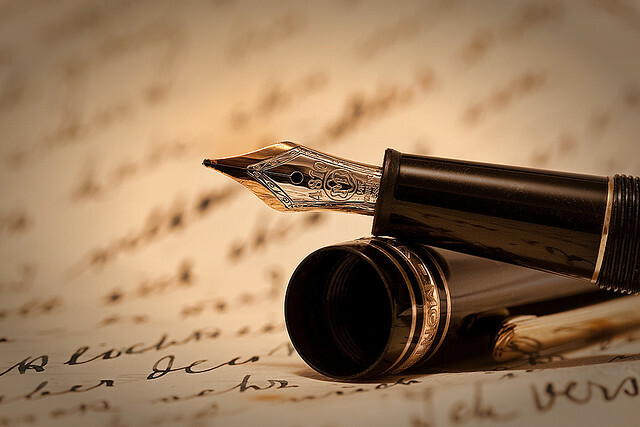 Knowing how to write is more than a dexterity. It is an art. And like many others, everyone claims to know how to do it. But few truly do it well. Ma che bel pezzo hai scritto! Un vero omaggio alla giornata mondiale del libro! Brava brava brava! !